Since I founded Out of the Box Collective and sent out our first boxes to a small group of customers back in July 2010, the landscape has changed dramatically. Five years ago there were a handful of CSAs and produce delivery companies operating in the LA area, but this idea of OTB (a home delivery service aggregating local foods from all the food groups) was a very foreign concept. We would set up at events and people would look at us quizzically “uh, what exactly do you do?” It was hard for us to explain what we were doing because there were no references around. Like pitching a screenplay “it’s Spiderman meets The Wizard of Oz”, we couldn’t say “We’re Blue Apron meets Good Eggs” or some such. Yet people were drawn to our boxes, and little by little our customer base grew, and our relationships with our vendors as well. Then a series of new companies started to surface — or transform themselves. One of our first recipe contributors teamed up with a friend to create Produce Project, a beautiful company creating carefully curated produce baskets paired with some wonderful artisan treats and recipes. Then one of our first customers teamed up with an existing CSA company, Farmbox LA, and gradually transformed the produce company into a company selling not just veggie boxes, but farm to table boxes very similarly designed to the ones she ordered from us as a customer. As farmers markets exploded, and farm to table became a thing, these companies started to grow, and even more of them popped up — the Venice Merchant, Kale Cart, Summerland LA, and others, all with a similar mission, and all of us putting in a lot of hours trying to define this space, figure out how to make it work, and more than anything build bridges between growers and makers, and LA’s doorsteps. Obviously, the logistics are critical. After that batch of local companies, next up, it was grander ideas that appeared on the scene. Start ups, national companies, companies that believed they could scale (yes, how do you scale your ‘local’ business is what all the money wants to know!). From Amazon Fresh (where we are thrilled to have a mini storefront), to Fresh Nation, to Grub Market, and of course the meal kit services like Blue Apron and Plated, which intersect with this space. And one of the hippest of them all was born in the Bay Area: Good Eggs. Good Eggs has so much going for it: the computer savvy, the cool branding, entire teams of well-meaning, principled employees, and then, of course, the money. To the tune of $50mil from a series of investors. I visited the Good Eggs headquarters one day and watched in awe as a cook prepared lunch for an entire team of maybe 40 staff. They had all the toys I could only dream of: huge walk in coolers, infrastructure, space, and manpower. Was I envious? Oh man, I was. I have been operating with a tiny team of part time employees, and barely able to cover our overheads despite delivering to a fair amount of customers. How was Good Eggs able to sustain this, I wondered? Then I started to hear stories of vans driving back and forth daily to pick up produce from some of the farms we buy from weekly, two hours north of LA, paying higher than farmers market prices for individual bunches of kale, and alarm bells started to go off in my mind. The platform they had built in the computer was a beautifully conceived machine, but the process on the ground? I couldn’t see how it would add up. 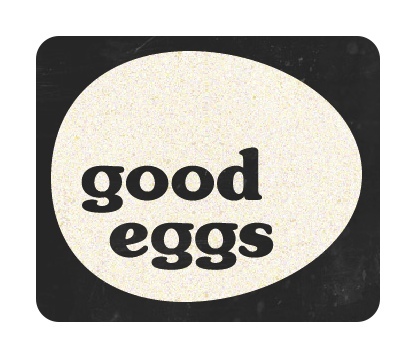 So the news last week of Good Eggs shutting its doors in LA, New Orleans and New York isn’t incredibly surprising to me, but above all I am concerned about the vendors and growers whose businesses relied on Good Eggs to get their products to their customers. We are inviting as many as we can onto our home delivery platform (and Amazon Fresh storefront) in the hopes that the modest infrastructure we have in place can be some small help sustaining them. Many people are calling me to say — “wow you’re going to really grow now, this will be great for you.” But while I can see there could be some truth in this, I am also sad — just as I was when I heard about Produce Project, Summerland, and Ag Local shutting down. A dream has been burst, and it puts even more pressure on OTB to succeed in a landscape that even a well funded company couldn’t succeed in. I live in hope that we will finally turn the corner. And I am constantly thinking, “what’s the solution”. “How can we make this work”? How can we streamline? How can we find efficiencies? What can I do to support my hard working and talented team, and give them the benefits they should be entitled to.” All that intermingled with “shoot, that flat of strawberries isn’t going to last a day” and “uh oh, somehow so and so got the wrong box”! It’s an endeavor of creativity, practicality, and sometimes insanity. I remain optimistic, but in the back of my mind, I know the odds aren’t great, and I have a family to think of, and employees, and customers, and vendors, and well… Now, I know it’s crunch time. We have to think carefully about how we proceed, or this whole house of cards will just come tumbling down, and Big Food will have won the Food Revolution. What kind of steps have we taken at OTB to become more resilient and robust? We have moved all our deliveries to one day so that we can get the food to the doorstep super fresh without having to go back and forth to the farm all through the week, without vendors having to come back and forth to our warehouse with their food daily, without my team having to spend countless hours sending out orders daily. We are excited about this solution because we have outsourced our deliveries to a fleet of Priuses zipping around at night, out of traffic. It’s the most sustainable method we can think of — but it has come at a cost, and for the first time in 5 years we have had to introduce a delivery fee. We hope our customers will be supportive with that change. Finally, we are renewing our B Corp certification, and working on our social and environmental mission — which has already earned us the honor of “Best for the World” this year — which means we score in the top 10% of B Corps in our category. There are more small steps we are taking, and hopefully, combined, it will be enough.